This is what my kitchen table has looked like for the past three weeks–a mess of glass tiles, shredded magazines, and an craft knife. I’ve been working on some Christmas/birthday gifts that turned out surprisingly well. I’ve seen a bunch of tutorials for these on the internet–you probably have seen them already, too, but I wanted to share them anyways. Start with some of these clear glass mosaic tiles.This review will focus on why you have to specify in your trade plan whether you want to be an intraday or a swing trader. You will also need to be very clear in your trade plan about what your ultimate aim is. This is the amount of money that you foresee you will make in the future. I found these at the dollar store–you get a really big bag of them for just $1. These are the larger size, but the smaller size are nice, too. Place the stone on the image you want, and trace around it with the knife. If your blade is sharp, it will cut very easily and you can punch the piece out. Cut as many images as magnets you would like to make. 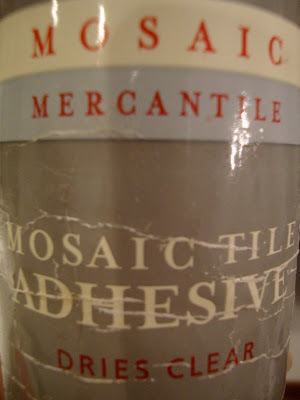 Next, take some mosaic tile glue (I’ve had this bottle for about 10 years) and glue the image to the bottom of the tile. Make sure your get glue that dries clear! It will look cloudy when the glue is wet, but once it dries, you can’t see it. I used a paint brush to spread the glue thinly and evenly over the tile. After the image has dried, take a round magnet and glue it to the back. I found these at Wal-Mart that were peel and stick, so I didn’t need to use any glue. It was easy and fast, but a little more expensive than plain magnets. Place the magnet on the back and let it dry for a day before hanging it on your fridge. Here’s an example of a finished one. I made this one for myself. Here are the Dr. Seuss ones. Juliet was really excited when she saw these. I was kind of surprised actually. It turns out she really likes hanging her artwork on the fridge herself now that she has these fun ones to use. You can see the different sized tiles that I used. Next time I run across some other children’s book images in a magazine, I will make her some more. I still have a ton of tiles and magnets left over! Obviously, these are not a good toy for younger children, but if your child is old enough to not put things in her mouth, they are quite entertaining. Have you made these before? Leave a comment or link and let me know! Our goal is first to have fun together and make some holiday memories, and secondly, to be as resourceful and “green” as we can. We are using our recycle box as our main resource for supplies and supplementing with craft supplies we already have in our craft box.We do these things often and always together as a team. It not only helps us bond well but also helps us on understanding each other better by appreciating the other’s perspective and trying to be at the same level. For example the other day when Juliet was explaining to me the reasons for the deficit in that year’s domestic budget I slyly hinted at her to take up a part time job so that she could not only have extra cash at home but also that she could spend some time being productive as well as meeting new people. I was surprised when she took my hints sportingly. She went to talk about how our kids were still small and that she could never trust anybody enough as yet to take care of them. But she said that she was reading up on trading software and this Bitcoin Code Crypto robot had impressed her much and that she was deliberating if she should start off trading from home. I was pleasantly surprised that she knew so much about online trading! It seemed like she has really been using her spare time from kids and household chores and reading up on good stuff. So, I agreed that she does whatever makes her happy. She went on about the bot saying that it was one of the best ones and that she has an instinct that it would be the best one to choose. There are others also but they do not inspire too much of her confidence. She was slightly apprehensive but I gave her a lot of encouragement. We need to know how it works and that we can do only if we courageously face it and not shy away from trying. You can also read about the program. Juliet plans to write down a journal of her experience in online trading. You can click on this to discover more here.